This tent is an excellent free standing, three season, double walled, double vestibule-double door, two person tent. 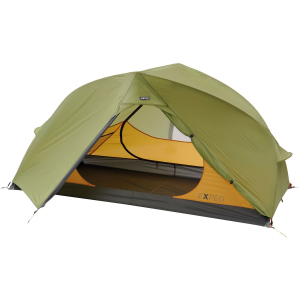 Its features allow many options for pitching and its quality makes it a refuge out on the trail. I would recommend it for anyone who wants a relatively light bomber of a shelter that will last many years. I am planning a through hike of the Appalachian Trail for 2013. Since the trip could require as much as five months, in all kinds of weather, the parameters I wanted in a shelter were not found in the tents I already owned. These tents, a North Face (NF) VE25 (22 years old) and an MSR Carbon Reflex 2 (10 years old), are excellent tents but for the trip I am planning, I decided a change would be preferred. This tent would be my refuge for many, many days on the trail. For this trip I wanted my big four, the pack, the tent, my sleeping bag and my sleeping pad, to not weigh more than 10 lbs. I wanted a free standing tent which would give me more pitching options each night for any type of terrain. I wanted a double wall tent which will pretty much assure staying dry in heavy weather and which would allow me to pitch only the fly or the inner depending on conditions. I wanted dual vestibules-dual doors for the tent which will help store and protect gear, make it easier for entry and exit, and to also make it easier to control condensation. 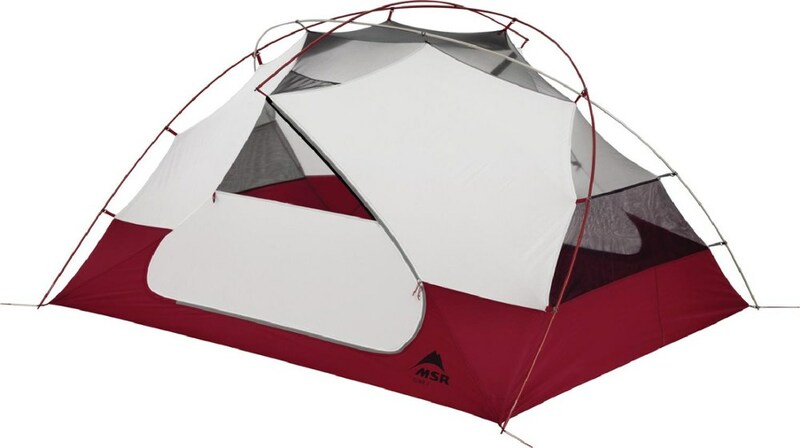 Finally, I wanted the inner and outer tents to be able to be pitched simultaneously. After days, weeks or months of constant hiking, maybe with several days in a row of rain, I didn't want to have to pitch the inner during a rainstorm, getting it wet inside during the process, and then have to pitch the rain fly and then dry the interior. I wanted simple. 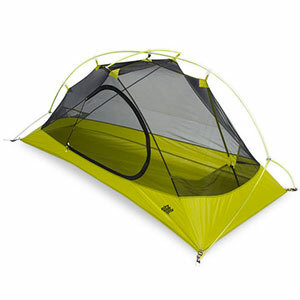 The tent I found meeting these needs is the Hilleberg Rogen, two person, three season, free standing tent. This is a review of my experience with the Hilleberg Rogen tent. The Rogen is new this year in the Hilleberg tent lineup. The tent is a free standing, two person, double wall, double door and double vestibule tent with the inner tent and the rain fly pitched simultaneously. 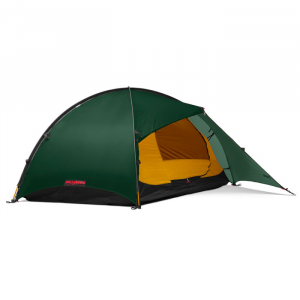 The tent material is Hilleberg's own patented Kerlon 1000 material. The material reminds one of silnylon but is much stronger. If you get their catalog you get a sample of their three types of Kerlon material for examination and can conduct a durability test. 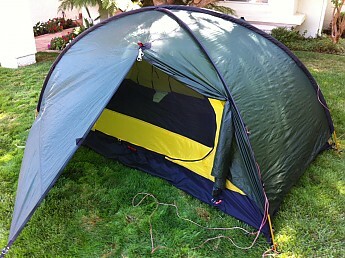 The tent is pitched using two 9 mm, long crossing poles and a shorter 9 mm, pole I would describe as a spreader. These three poles give the tent great stability, excellent headroom with more than enough room for two with gear. 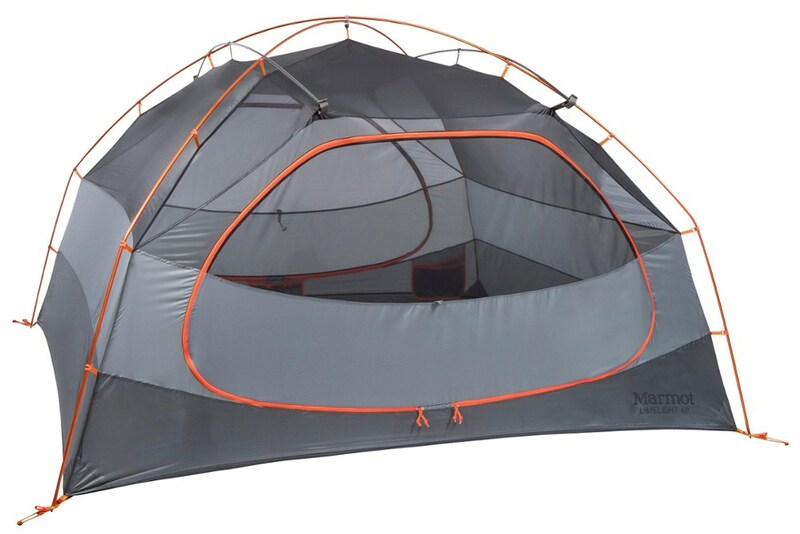 The inner tent is connected to the inside of the outer rain fly by a series of straps which can be disconnected to allow pitching only the inner tent in fair warm weather or just the outer rain fly for a more tarp like shelter. While the Rogen is listed as a freestanding tent there should be a little further explanation. 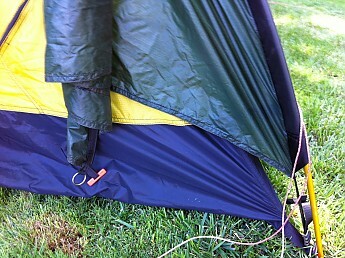 The tent can be pitched without the use of pegs. However, the vestibules need to be pegged to be extended. This may seem to contradict the freestanding statement but in reality the tent can be used very well with the vestibules not being pegged. The tent is very easy to assemble. The two long poles are inserted into their respective sleeves and inserted into the corner webbing at the end. This raises the dome. The cross pole is inserted into its sleeve and cinched down. This pole adds stability and insures a wide space inside. The tent has 10 peg positions which can be used in extreme weather. Four corner peg locations, two pegs for the two vestibules, and four additional guy lines that can be pegged for even greater stability. The number of pegs I used were six and I found them to perform in an acceptable manner. The four corner pegs and the two vestibule pegs. The inner tent has two doors that are mostly mesh. Its bathtub floor extends very high above the ground because the outer rain fly does not come all the way to the ground (yet the rainfly covers the top of the bathtub floor). 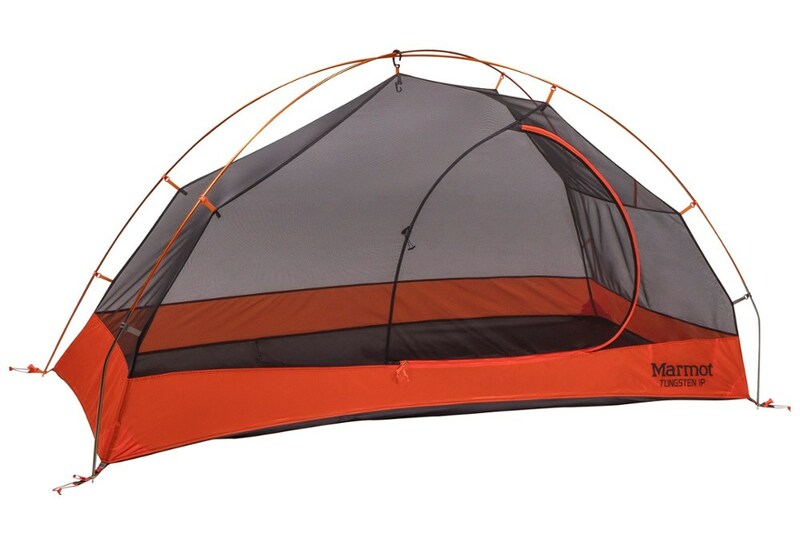 This is done so the rainfly can be adjusted lower to one side or the other, front to back or side to side, to allow more airflow into the inner tent. I also use the Rogen footprint to protect the floor of the inner tent. The packed weight which includes manual, tent stuff sack, pegs, poles and their stuff sack, and guy lines, is listed at 4 pounds, 10 oz. the minimum weight is listed at 3 pounds, 15 oz. The inner tent area is 31.2 sq. ft and the inner height is 38 inches. I recently took the tent on a 7 day backpacking trip in the high country above Tuolumne Meadows at Yosemite National Park. The weather was typical this time of year between 9,000 and 10,000 feet with highs during the day in the mid 70's and lows in the mid to upper 40's. We had one night with light rain but heavy winds. 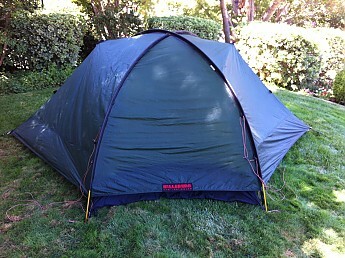 The tent proved very easy to pitch and performed very well in all conditions. I reduced the weight of the tent slightly by rolling the tent into my backpack and not using the stuff sack. I can do this since I use a Seal Line ILBE dry bag liner to protect clothes and gear from the elements. I also replaced the included pegs with slightly lighter MSR carbon pegs. I took only 6 of the MSR Carbon pegs instead of the 10 pegs included in the package. It slightly reduced the weight of the tent items though not by much. It still seemed a very light combination. The interior of the Rogen seemed more spacious than even my VE25 which is rated as a three person tent. The two vestibules seemed very large and were very useful to protect gear. Headroom was also excellent. The poles held the dome shape very well which made the walls more vertical. All in all, I was very pleasantly surprised by the spacious feel of the interior of the tent. Having the two doors and vestibules was also very handy. Not only for entry and exit but also for airflow. Pitching instructions state to pitch the foot end of the tent into the wind because it is a little more narrow than the head thus helping stability in windy conditions. Finding the foot end of the tent is easy as the Hilleberg logo is on the rain fly at the foot of the tent. When pitched this way one can open alternate sides of the two vestibules which provide an even better airflow throughout the tent. This worked very well. On the night we had slight rain with heavy wind I did go out and tighten the tent down to a more taut pitch with the six pegs I had utilized. Once that was done the tent was completely solid with no flapping in the wind. No water intruded through the floor of the tent or through the rainfly and no condensation was found inside in the morning. I think I have found the replacement for my favorite tents. If I were not planning a long distance thru hike I probably would never have purchased another tent. However, now that I have used the Rogen I am very happy I have all the features it presents and would find it difficult to change to another tent with fewer features. The Rogen is now my go-to tent and I may have to say goodbye to the old favorites. 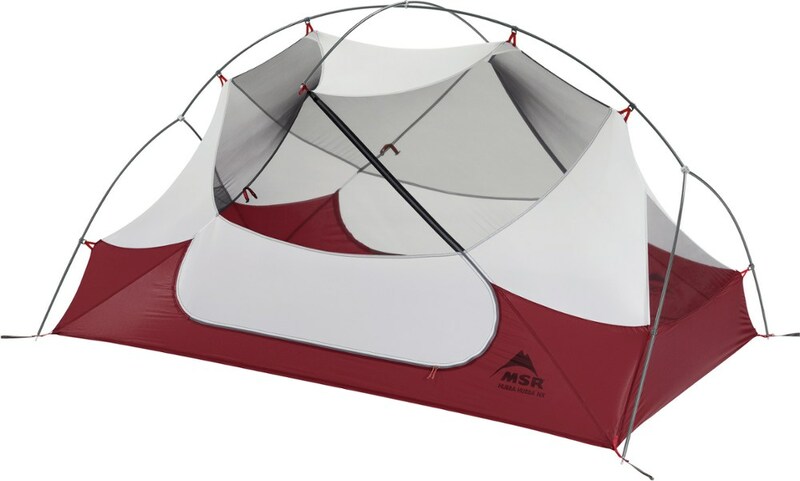 I would recommend this tent to anyone who wants a durable, stable, relatively light, bomber of a three season tent. If you are in the market for a long lasting three season shelter with many pitching options take a look at the Hilleberg Rogen.